This September PUZZLE PROJECT reaches a very ripe 10 years of age! Originally launched to bring the best names to the intimate world of Brixton’s Club 414. The biggest, small club night in the country! A complete inability to let Puzzle Project go quietly, the founders have got together for one last swan song. 10 Years. 10 Artists. 10 Hours. Puzzle Project residents past and present join this banging line-up for the 414, supported by none other than Hard Dance legends, ALI WILSON and GREG BROOKMAN!! Don’t be the missing piece! Two small rooms, with an excellent atmosphere. Fully refurbished the 414 boasts a wicked sound system & intelligent lighting. 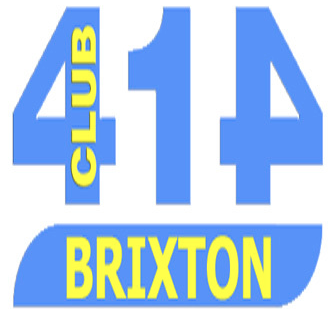 The legendary 414 leads from the front, renowned for its friendly but firm door staff, the smiling and helpful bar staff, club management and even its fish…! Sound system: 5k Community Sound System /2 Technics Decks / Alan & Heath Mixer / Monitor + Amp / CDJ’S. Lighting: 6x Martin MX10 with Freekie controller Sound to light. 4 x Martin 250 sound to light. 3 x Martin Acrobats sound to light. 1 x Green Laser and Controller + 4 Mirror balls. 1 x Smoke Machine + Fluid. 1 x 3D Video Film Projector & 6ft Screen.